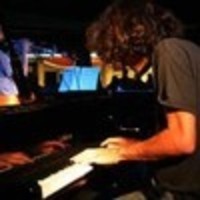 Musica ex Machina is a project born in Cagliari (Sardinia, 2005) with the objective of creating an original repertoire, oriented toward improvisation and live performances. To these guidelines, we added the will to produce a type of music that would bring back the spontaneity and folk aspect of jazz, a path we followed to explore different genres of popular world-music. The result was a surprising ever-changing repertoire that immediately found public support.